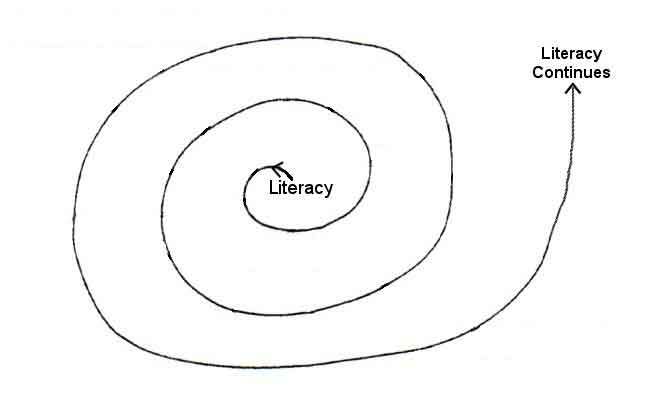 Previously, I have shared the Spiral of Literacy, which is a great, reflective activity. However, I have never shared the blank spiral, which some of you might want to use for your own purposes. Click here. I am posting below previous posts and publications of the Spiral of Literacy, as found in Teaching Passionately: What’s Love Got To Do With It? Click here to read what it is and how to do it. Here is a PDF version the process. Here is a PPT version of the process. The YouTube version of The Spiral of Literacy.